Fun, exciting hunt. Lots of action. Come enjoy BC in December. 2017 BackPack Mountain Goat Hunt. All inclusive $11,340. 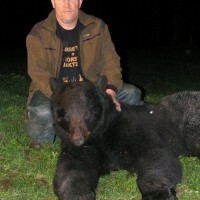 Mid May is prime time for black bear hunting in our area and we only have 1 spot left for up to 2 hunters. Available mid September 2016, Combination Moose and Mountain goat hunt from one of our best remote fly-in camps. 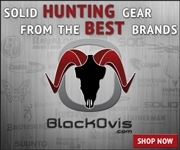 This is a backpack hunt that produces great billies and big bulls from our Skeena area. Only 2 spots available. Remote wilderness moose hunt. Experience a real wilderness adventure in the back country of northern British Columbia. Come hunt with us at BC Guided Hunting. We have some of the nicest caribou hunting BC has to offer. We have horse back or backpack hunts for Mountain Caribou. He is an exceptional outfitter with a relentless drive to succeed and committed to providing the very best experience available. I look forward to many more hunts with Clint.